Terms and Conditions - a small business and web hosting resource for Yahoo! By using iWebHostingPlans.com you consent and agree to these terms and conditions. iWebHostingPlans.com makes no representations or warranties as to the accuracy of the content. All transactions made based on information from iWebHostingPlans.com are solely between you and the Vendor. Your sole rights and remedies shall be against the Vendor. 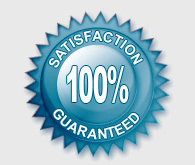 By using iWebHostingPlans.com, you acknowledge and agree that iWebHostingPlans.com has no liability for any cost, damage, or harm, directly or indirectly, in connection with the delivery, failure to deliver, performance, quality, or any other aspect of any products or services ordered via iWebHostingPlans.com. iWebHostingPlans.com reserves the right to change, suspend or discontinue all or any aspect of iWebHostingPlans.com at any time without prior notice or liability. iWebHostingPlans.com reserves the right, at its discretion, to change or modify all or part of this agreement at any time.